Woohoo it is Fine Motor Friday again! I'm wearing a sweater and eating soup so fall is officially here. 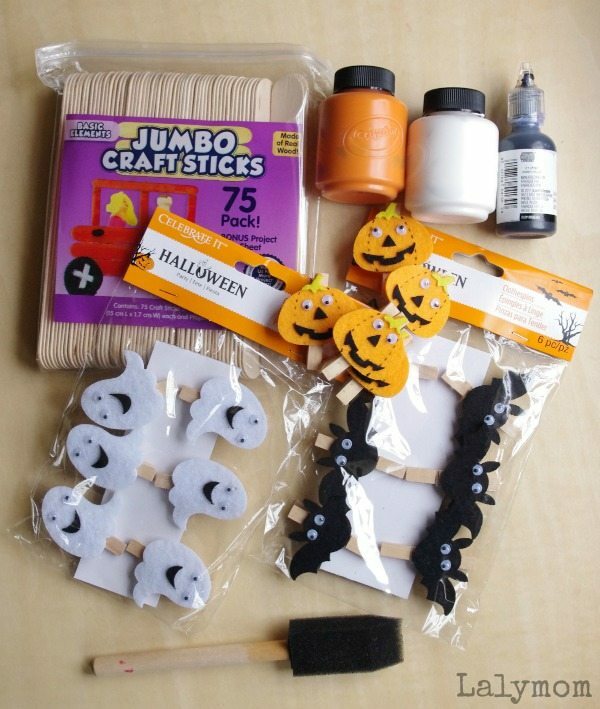 I already saw pumpkins in the grocery store so I suppose it is time to get planning for Halloween! 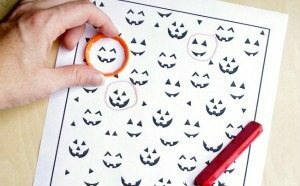 Last week we had a fun Halloween Printable that was great for working on visual scanning and fine motor skills. 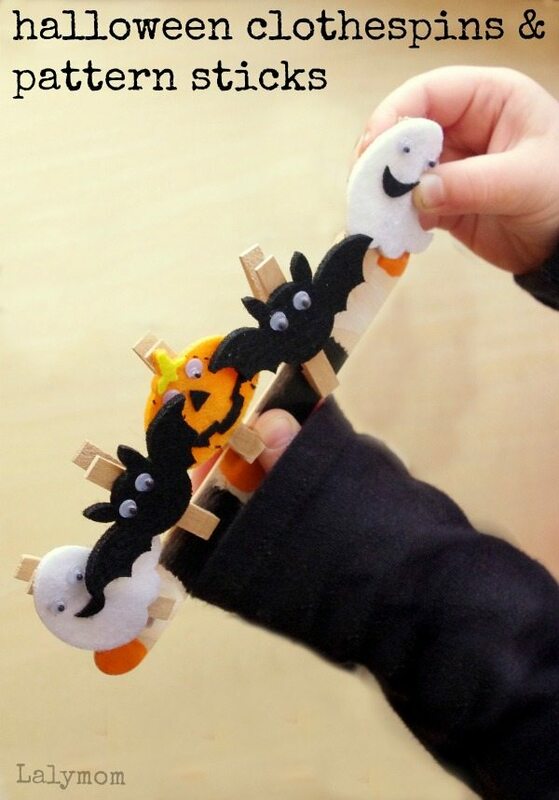 Today we have a Halloween craft & activity that do the same! I actually was not sure what to call this one because the crafts sticks are a craft, but the clothespins make it an activity. So. It's a two-in-one! Bonus! 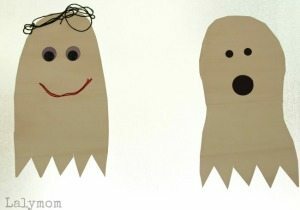 I don't put our activities INTO bags necessarily but I think this would make a super cute Halloween Busy Bag Activity or even a Halloween Playdate activity. 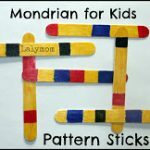 One day we were looking for something to do and I thought we could revisit the pattern sticks craft that we did during for Piet Mondrian Art for Kids post. I grabbed some Halloween colored paints (for some reason our set of washable paint didn't have black so I just grabbed a bottle of black paint and went on with it!) and some craft sticks (sent to us by CraftProjectIdeas.Com) and showed my daughter how to make a pattern with the paint. We let them dry over night and were sure to show LalyDad what beautiful patterns we painted. I don't have any pictures of painting because I did not really think I'd be blogging about it! But if you just want to paint pattern sticks, that is all there is too it. You're done! We used the foam brushes which made the painting go really fast…we could have blown through a lot of craft sticks. If you want stretch it out a bit…find the tiniest paintbrushes you can! Haha! My two year old knows all of his colors but he just liked clipping the clothespins off and on. 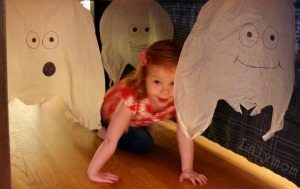 He called them puppets and would say, “La, la, la…I a ghost! Booo!” So THAT was all sorts of cute. 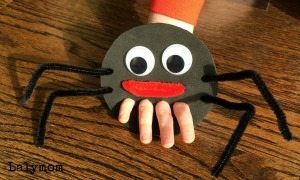 This was an easy little activity to do with the kids and although it doesn't seem like there is much to it, they both spent a lot of time playing with the clips. 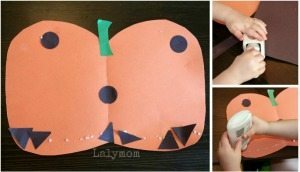 I will say that you should supervise your kids with this activity, as always. The pinch strength of clothespins vary from one brand to the next so you wouldn't want your kids to get one stuck on them, not to mention that if they twist the clothespins juuust right they will come apart and there is a small metal part left behind…not cool! Luckily we were doing this all in the same room and I knew to count up all the clothespins in case any fell onto the floor! 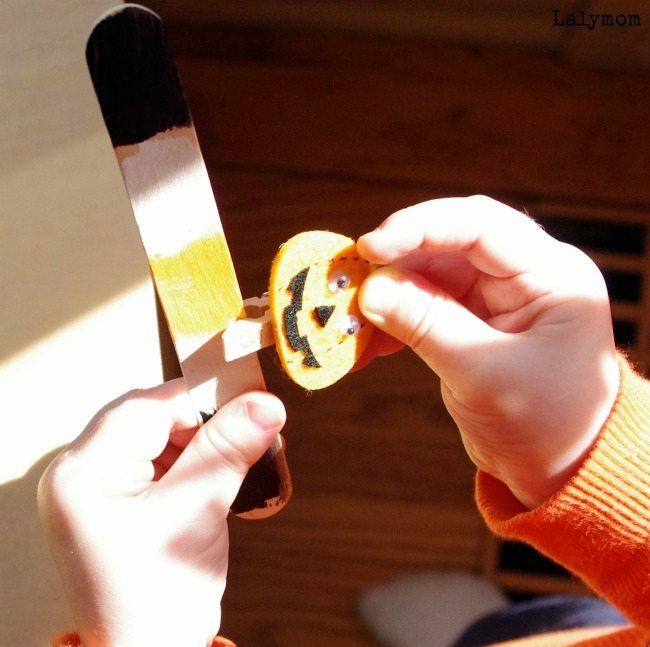 Do your kids like more open ended activities, like painting the sticks, or do they like some direction as with clipping the clothespins on to match? I'd love to hear about it in the comments! If you like this activity, please do pin it! 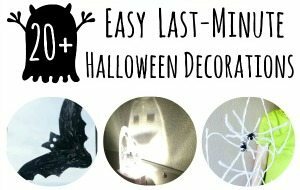 Also check out these posts for similar ideas! 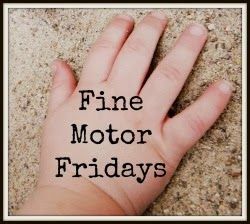 It is Fine Motor Friday again so you know the drill! 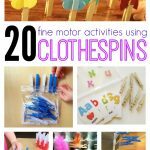 Check out my FMF co-hosts for more fresh, playful fine motor skills activities! 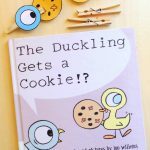 Adorable and fun! 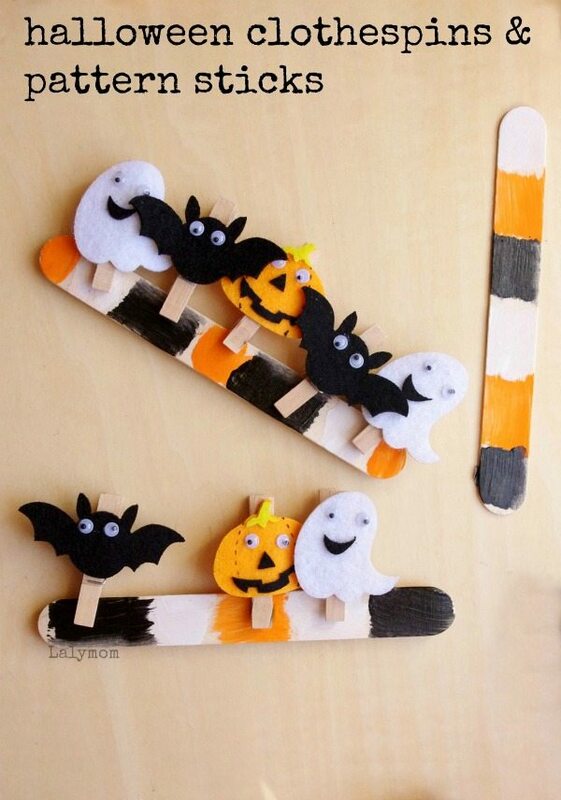 The marks on the craft stick is such a smart idea! I want those bat clothespins! Seriously cute!